Bishop Simon teaches on 6 key principles to understand how to prosper in Gods way. 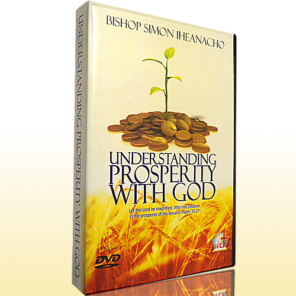 In this teaching you will get a biblical view of how the children of God moved in Prosperity with God in the Old testament, and also how the old covenant of prosperity made with Abraham was transferred over to the new covenant believers and still apply to any one who believes it today. 1. Prosperity in the new Covenant. 3. The Law of Sowing & Reaping (Part 1). 4. The Law of Sowing & Reaping (Part 2). 5. You are entitled to Prosper. 6. The law of Prosperity.